Huge thanks to the talented duo at Curious Design. Marie and Rachel were incredible and so professional every step of the way. I cannot recommend them enough. Lilly is a food writer, blogger, photographer and chef. She needed a new website to showcase her work and we were delighted to work with her on her site. 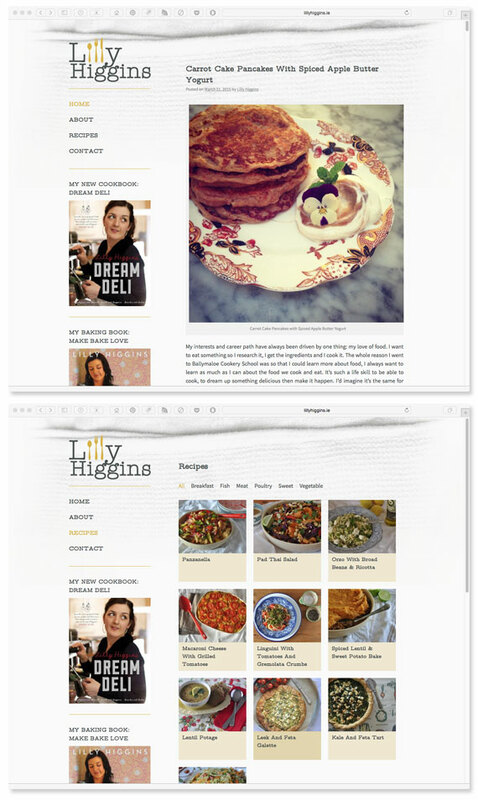 The WordPress site features a blog where Lilly can share news and updates along with an extensive recipe section which can be sorted by category to find that perfect dish!